Heliatek has implemented, with its partner Kandil Steel, its first Building integrated Organic Photovoltaic (BIOPV) pilot project in Africa. HeliaFilm®, Heliatek’s organic solar film, is at the core of this installation in Egypt, which represents a first test project for further steel applications by Kandil Steel.“I am happy that we are progressing on our global roll out,” states Thibaud Le Séguillon, CEO of Heliatek. “It is a key step forward in our strategy of providing de-centralized energy generation solutions used directly on buildings all over the world.”Opaque HeliaFilm® on steel application © Kandil SteelThe project was funded and managed by Kandil Steel, the leading steel provider in Egypt. The company is working on new solutions for distributed energy generation because of rising energy prices and declining government subsidies. 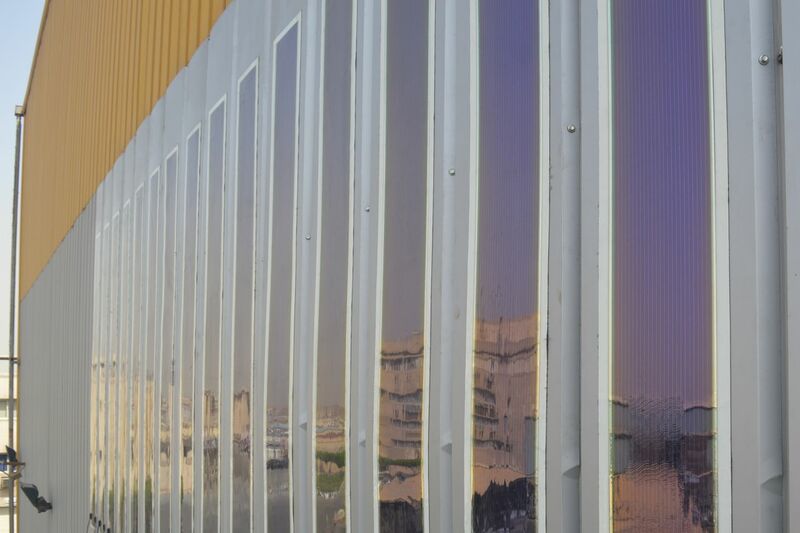 The company plans to establish the combination of its steel panels with HeliaFilm® as a new product for the BiPV market.